Travellers Highly Recommended Jervis Bay Tourism holiday accommodation information destinations in Vincentia, Huskisson, Hyams Beach, Callala Bay, Woollamia, Callala Beach, Lumeah, Myola, Sanctuary Point and St Georges Basin South Coast NSW. At Jervis Bay online the Getaways we offer a quality award winning selection of beach bungalows sea shacks lake huts country houses eco stays or romantic cottages ideal for couples groups and families to meet different tastes and budgets. Choose from a unique collection of owner hosted privately located self contained properties all with gas or wood log fires spa baths and local hand crafted furniture. Enjoy a Jervis Bay Weekend or holiday with Jervis Bay Online Accommodation view Hyams Beach, Huskisson, Vincentia, Callala Bay, Hyams Beach, Sanctuary Point and St Georges Basin on the South Coast NSW Vincentia is situated near Huskisson and Hyams Beach on the South Coast very popular holiday destination for the whole family surrounded by nature reserves and National Parks and is home to Jervis Bay Marine Park. 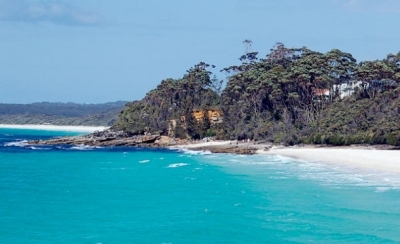 When it comes to looking for the right place to stay in Hyams Beach, Huskisson, Vincentia, Callala Bay, Hyams Beach, Sanctuary Point and St Georges Basin on the South Coast we provide you with up to date holiday availability on the famous Jervis Bay NSW with the nicest selection of family weekend accommodation in all areas around Jervis Bay. Check Live last Minute Availability and prices with ease and book direct with the jervis bay accommodation owner. Jervis Bay Accommodation properties are privately located in Vincentia, Huskisson, St Georges Basin, Sanctuary Point, Hyams Beach, Worrowing Heights, all close to the famous white sandy beaches of Jervis Bay, Jervis Bay Accommodation South Coast Accommodation Jervis Bay Getaways Nsw offers the best Jervis Bay Tourism and most diverse selection of new, high quality beach, farm/nature and lake stay locations at Jervis Bay at our 1, 2, 3 and 4 bedroom properties. Ideal for couples, groups, families, weddings and functions. Choose from a unique collection of beach bungalows, sea shacks, lake huts, country houses or romantic cottages for couples. The properties are all newly completed, privately located with gas or wood log fires, spa baths and full cooking facilities. They are beautifully decorated with interesting colour schemes, local photography, lots of natural timber and hand made furniture. located in Vincentia, Huskisson, St Georges Basin, Sanctuary Point, Hyams Beach, Worrowing Heights, all close to the famous white sandy beaches of South Coast Jervis Bay Nsw Australia.